Here is our handsome boy Riley. He is celebrating his first birthday next week. His favorite things are our other GSD, Bella, and chasing the laser. He also likes shredding anything stuffed! He is trained in basic obedience and loves people. 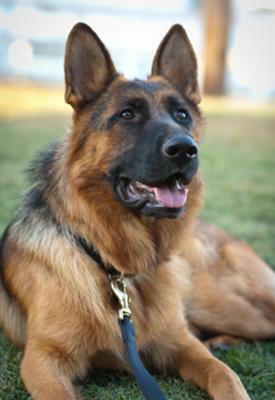 He would love to be your next GSD of the month!